A village promotional song from Parbat. "Bhangara Gaun ...", a Melodious New Nepali Gurung Village promotional Song sung by male Singer Yoges Kaji Gurung and female Singer Maya Gurung. Lately, there has been quite a number of commendable new Nepali songs and no doubt the song “Bhangara Gaun ...” can be counted as one. Personally, "Bhangara Gaun ..." is one of my best favourite song. This music video was shooted in Parbat local places. Enjoy the melodious New Nepali Village promotional Song "Bhangara Gaun ..." by Yoges Kaji Gurung and Maya Gurung. Yoges Kaji Gurung is thankful to Hum Gurung for helping him put his feelings and thoughts in words. 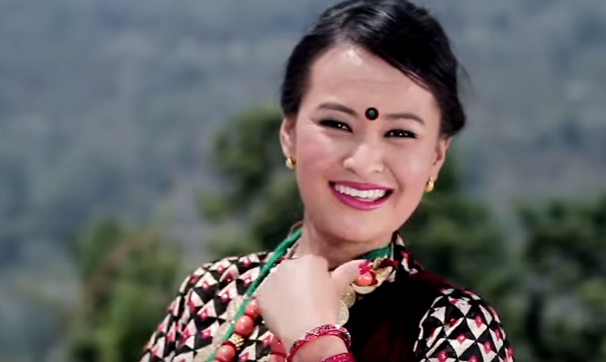 Music for this melodious music video ''Bhangara Gaun ...'' is composed by singer Yoges Kaji Gurung himself. The Camera work of the New Nepali Village promotional Song ''Bhangara Gaun ...'' is done by Krishna Raj Gurung and Santosh Konme has done the Editorial work. This awesome music video is choreographed by Lovson Gurung and Konme Entertainment (KE) has managed the post production for the music video ''Bhangara Gaun ... (Parbat)". We can say that the song's music video is quite a nice work of art and it's a very enjoyable watch. Watch Full Music Video ''Bhangara Gaun ...'' by Yoges Kaji Gurung and Maya Gurung. 0 Response to "Bhangara Gaun (Parbat) | Yoges Kaji Gurung & Maya Gurung"